Cooking with fire is original and exciting, moreover it is a social event. Family and friends come together. Eating, talking, spending time together - just like playing together. With the Barbecue Card Game of Christian Domschitz, the menu for your next barbecue party is created in a playful way. Since all cards can be combined, one can expect many culinary surprises. 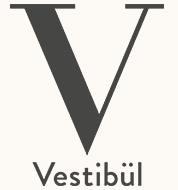 Exclusively available only in German at the Vestibül!